The Endure 24 event has started to become the big event for the Reading Joggers running club with a good attendance from the club. 2014 looks to be no different with 55 confirmed runners entered. It’s also great to see the number of people from the club trying out the solo category increasing from 1 person in 2012 (me) to 3 in 2013 (Kate, Adrian, Janine) and potentially 6 people in 2014. With a few of these being newcomers to the Ultra distance, I thought it would be useful to dust down one of my earlier articles about running this event solo. 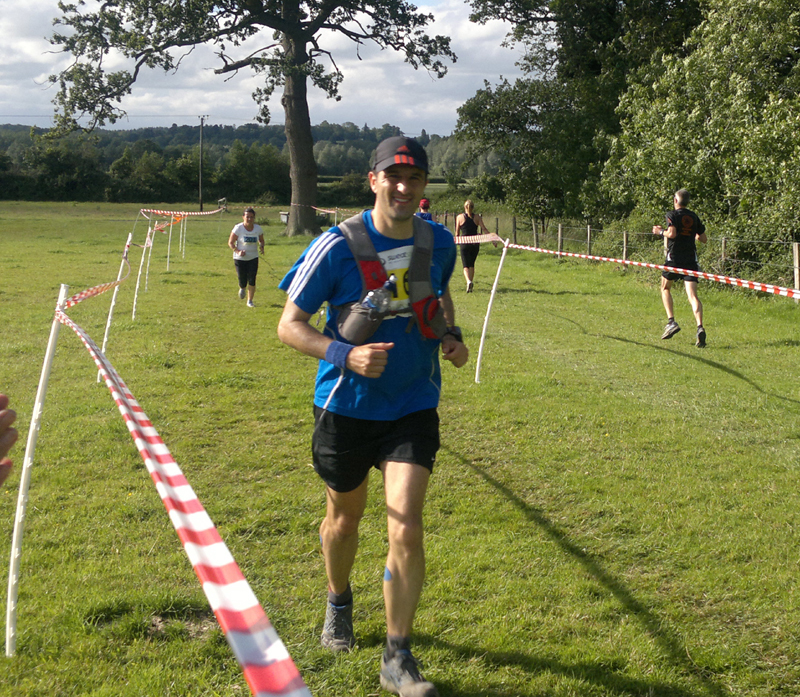 This article is aimed at people who may be new to Ultra Marathon running and are considering entering the Endure 24 event as a solo competitor for the first time. An Ultra Marathon is classed as any running based event, which is longer than the traditional marathon distance of 26.2 miles. This broad definition covers a multitude of variations of different distances from 27miles to 250miles non-stop or time based runs (typically 6hr, 12hr or 24hr, 48hr or even 72hr). In addition there could be variations on the nature of the race from single stage non-stop runs to multi-stage events which take place over several days. Furthermore, different terrain and conditions can make running these events completely different experiences from tough hilly coastal runs, national trails, hills or mountain runs. If you look further afield to other countries where there are different climates and conditions, this opens up further a wide range of different experiences such as desert runs, arctic runs, jungle runs, mountain running in stunning locations around he globe to name a few. The world of Ultra Marathon running offers an incredible variety and scope of events for all types of runners of all levels of ability. A key differentiator between traditional (shorter) distance races from 10k’s, Half Marathons to Marathons is the focus on speed and time. A runner’s enjoyments and satisfaction of these types of event in my opinion is largely linked to your finish time. Ask yourself, have you even participated in an event which was well organised, friendly, had good facilities, lovely weather but wasn’t a good day because you missed your PB by a few minutes? Ultra Marathon running offers more than just this fixation on time based goals. Yes, there are people who focus on speed and finishing times, compete against other athletes or against their own personal goals. However, Ultra Marathon also caters for those people who just want the challenge of completing a distance on foot by any means they can (by running, jogging, walking or crawling) and enjoying seeing different and remote parts of the UK, Europe or perhaps even further afield. Being able to say you ran 50 miles sounds pretty good doesn’t it? Ultra Marathon running is rapidly growing in the UK with the number of events and participants increasing year on year. It’s a fantastic niche area of running with many great events, friendly people and a great community. Regardless of whether you are a front runner, mid-pack runner or chasing the cut-off times on races there is a tremendous level of respect for anybody who puts themselves on the start line and a desire for everyone to succeed and achieve their goal of crossing that finish line many hours or maybe even days later. The Endure 24 event provides a perfect opportunity for solo runners to push their personal boundaries and test how far they think they can run (jog/walk) in 24 hours. If you are new to Ultra Marathon running then this event provides the perfect opportunity to “go longer” in a safe environment where support and facilities are always close by. Several of the solo runners I spoke to in the 2012 event had not run further than a marathon previously and wanted to test their own limits. The nature of the event provides the opportunity for people to run as much or as little as they want and organise their food, rest or sleep stops as and when they feel they need it. 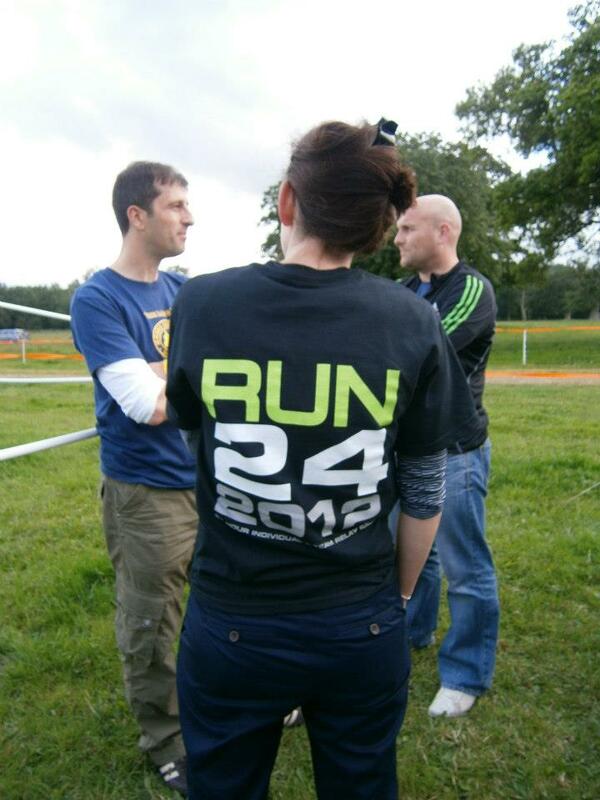 The Endure 24 event takes place in Wasing Park near Reading on a private estate. The race itself takes place over a 5 mile trail loop starting and finishing at the same point. Solo competitors will try and complete as many loops as they can within the 24 hour period. The start and finish area offers camping facilities for runners. Solo runners are afforded a dedicated spot next to the start and finish lane to provide them with easy access to their tent, equipment and food supplies on the way round. 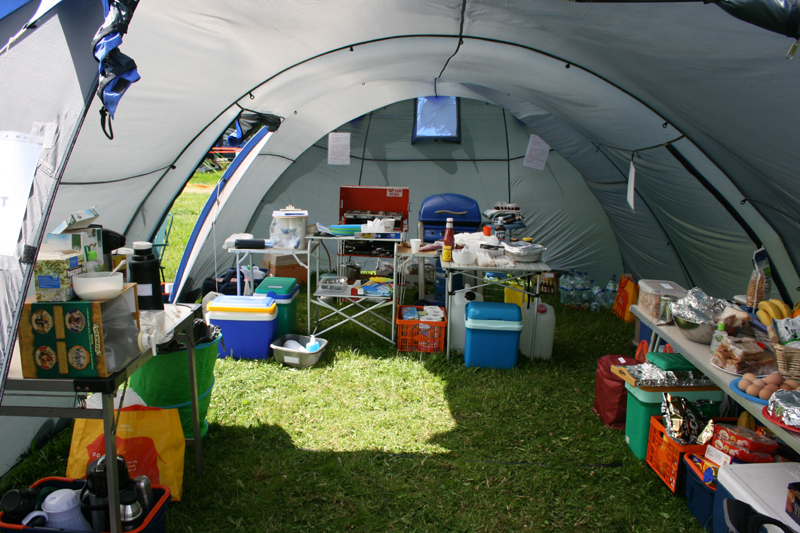 In addition, a number of facilities are laid on for runners such as a food marquee, massage facilities, toilets, showers and equipment facilities for the full 24 hour period. If you are an experienced Ultra Marathon runner then the test is to see how far you can go within the allotted time period. The runners at the top end of the field are unlikely to stop, sleep or rest during the race but will aim to continue to push themselves lap after lap for the maximum period. I have highlighted a few key principles I’ve adopted when training for Ultra Marathon running events. The information noted below is based on personal experience and is geared towards those people who may be training for the Endure 24 for the first time. The Ultra Marathon Running website www.ultramarathonrunning.com offers a range of links and resources to Ultra Marathon training plans if you wish to research this in more detail and look at more scientific plans. It’s worth pointing out that the issue of training can be very subjective and what works for some people may not work for others. Training plans are also largely governed by peoples outside commitments and constraints (working hours, family commitments and so forth) and will need to be tailored to your own situation. You should be looking to build up your mileage gradually in the months before the race so you have a good endurance base. In addition, you should also look to include “easy” or “recovery” weeks in the plan so the body can recover and adapt to the increased workload. Try and incorporate back to back runs (medium to long runs on a Saturday and a Sunday) to practice running on tired legs. You should look to complete some long training runs, marathons or shorter ultra’s in the build up to event to experience being out on your feet for hours at a time. Time on your feet is the aim as opposed to covering a specific distance. There are lots of quality workout sessions you can introduce in your training (such as fartleks, interval training, hill running etc.) to improve your speed. However, the expectation of the Endure 24 race is to be out on your feet for a 24 hour period and the focus is not on pure running speed. I will have to be honest and state this did not form any part of my running in the build up to my first Endure 24. Whilst I acknowledge the benefit of this, you can successfully complete the event by focusing more on the endurance aspects of training. The Endure 24 event takes place as follows. Friday Afternoon: The Endure 24 event opens on the Friday afternoon and runners can arrive and pitch their tents the night before if required. This may depend on your location and travel arrangements. I had the benefit of living a few miles away so had a nice sleep in a comfortable bed the night before so those travelling from longer distance may wish to consider using a local Hotel/B&B to ensure you have the best possible nights sleep beforehand. You can also register for the event and collect your race number and tag at this time. Solo competitors have a dedicated area to camp away from the location of the teams which is right next to the start/end lane. This allows you to grab food or equipment quickly and easily during a race. Saturday Morning: Runners and teams will be arriving in the morning and start pitching up tents, register and generally get ready. Saturday Midday: The race starts. Team runners will probably shoot off ahead in the distance whilst the solo runners settle down into a comfortable steady pace. Solo runners will wear the same colour race number so you can tell who your fellow soloists are. There is a PA system on during daylight hours and you will probably get a name check and note of your position as you run through each lap. There is also an electronic leader board showing laps covered and position if you are minded to check how you are doing compared to the rest of the field. As mentioned previously, there are on-site food and massage facilities available but be wary of potential queues and delays at certain times (i.e. afternoon, evening). Saturday Evening: Runners will be required to collect head torches by around 7.30pm for the evening/night. It won’t be dark at this time but this is more a safety precaution to ensure you have an adequate light source when it does get gloomy and then dark. You will be told as you finish a lap that you need to grab your head-torch. The course is marked with tape and then glow sticks are placed around the course to it is pretty easy to navigate in the dark. You should be pretty familiar with the route at this time. You may want to also think about collecting an extra layer as it will get cool at night. Saturday Night: As it gets dark a lot of the teams will be settling down to sleep and the event feels a little quieter. The PA system is switched off at night to allow people to sleep. Hopefully, you will be continuing around loop after loop. Strong coffee is recommended here to keep you awake! It will feel a bit more isolated as it’s more difficult to see other runners behind or ahead of you but there are marshals dotted around the course in case you get into any difficulty. If you have slowed down to a walking pace then again you may need to think about wearing sufficient layers to keep warm. Sunday Morning: Hopefully, you will have made it through the night into the cool morning. You will find that you get a second wind as it gets light. Unfortunately, you will still have about 6 hours to go to the end. Sunday Midday: The race finishes at 12 noon but if you manage to complete a lap before this time then you can start another lap (if you wish). This means there is a constant stream of finishers for the next hour or so. At about 1pm there is an awards ceremony for the various winners and there are still on-site facilities available if you wish to have a massage, shower or have some food. You may just want to retire to your tent for a lie down for an hour or two. Monday: Completing a 24 hour solo run is a fantastic achievement and you deserve a rest, reward or a day off! Well done. This advice is based on my own approach which worked reasonably well for me and I hope runners who are new to the distance can take some pointers from this. Set yourself a realistic overall target as this well help motivate you during the event. Typically this may be to achieve a certain mileage target or complete a certain number of laps. Also try and break down the race into smaller goals or segments if you can. My minimum aim prior to the event was to complete 100 miles and my dream goal was to get to 120 miles, I ended up at 110 miles. I broke down the event in my head by chunks of 4-5 hours where I had planned to eat something more substantial around “meal times”. It helps to focus on the next smaller goal and not be overwhelmed by the entirety of the event. Think about how you are going to manage food, hydration and perhaps a rest or even a short sleep during the race. Solo competitors can set up a tent immediately next to the start and finish area where you can easily grab food or equipment as required on each lap. Personally, I laid out a cooler box with drinks and food next to the track and grabbed a few snacks and a bottle of drink each time I completed a lap so I was generally constantly on the move (even if I walked to consume my food and water). My aim was to stay out on my feet for the full period and forego any sleep (you can catch up afterwards!). However, some people prefer to take a short power-nap on the basis that they can recover and run quicker after getting a short break so strategies may vary here. The runners at the sharp end of the race will continue for the full 24-hour period. Be prepared to modify your approach depending upon he circumstances of the race. This can apply to pacing, planned stops, eating, drinking and kit changes. Situations can change during a race and you may need to modify your approach if necessary. For example, I had planned to try and complete a 5 mile lap every hour at a steady speed and not stop for the entire 24 hours. At about the 70 mile point, I had a slight groin strain which meant running became uncomfortable and I settled into a hike/power walk for the majority of the rest of the event and a slower pace per lap. It was simply a case of switching from Plan A to Plan B and I tried to not let it de-motivate me. The first half of the race is a physical battle whilst the second half of the race is a mental battle. Employ whatever tactics you can to keep yourself focused on moving forward and distracted from those negative thoughts of stopping, sitting down or quitting. Chatting to other runners (all the soloists are in the same boat), listening to music or simple mental tricks all help. I have a further blog planned about managing the mind during the race, so keep an eye out for this on my blog. Run your own race! Don’t let what other competitors are doing influence you. I had my own plan and pretty much stuck to this as best I could. Positions changed frequently as people stopped for various reasons at different intervals but I don’t think I was influenced at all during the event. I ran when I could and walked when I had to regardless of other people’s actions. The event is a 24 hour race and so you should use all of the available time. This is probably aimed towards those people who are at the front of the race. In the 2012 event there were a number of other guys in the race whose goal was to achieve 100 miles. At that point in the race with a couple of hours to go they were satisfied with their efforts (and a good effort it was too!). However, I kept on plodding around the course for the full 24 hour period and was slightly fortuitous to sneak into the lead right towards the end of the race. If a few of the other guys who had stopped kept going for the maximum period, then the result of the race could have been very different. In addition, the rules of the race state that if you finish a lap under 24 hours (23.59.59) then you can start another lap so make use of that time if you can. A common marathon term is hitting “the wall” at some stage in the race and the same is true of an Ultra. It may be physical discomfort such as tired legs, minor aches and pains, an upset stomach, general fatigue or perhaps motivational issues. Unfortunately, this is pretty normal for an Ultra Marathon event! Running for 24 hours is not meant to be that easy and the fact that you are aiming for this goal is a tremendous feat in itself. From personal experience, you do suffer low points during a run of this length and just need to focus on the things which will help you work through these points. In terms of foot care, blistering is a common issue when running long distances. Essentially, blistering is caused by a combination of heat, friction and moisture and if you can minimise these causes then you reduce the chance of blistering. Different solutions work for different people. Traditionally, I have placed compeed plasters before the run on any usual hot spots where you may suffer blistering and added a layer of sudocreme to help prevent friction. However, I am experimenting with taping my feet and powder this year so I will see how that goes. Good quality socks are a must. Some people like Toe socks (where you have individual toe holders) which may be useful if you suffer blistering on the toes when these rub together. You may also find that your feet swell after prolonged pounding and it is not uncommon for long distance runners to wear a slightly larger trainer (1/2 a size up) to allow for this and prevent toes pushing against the inside front of the trainer. If this is your first Ultra then your ambitions may be a little more modest than staying out on your feet for the whole duration. The nature of the event gives you the flexibility to run as much as you want, collect food and supplies when you want and have a rest or sleep when you want. You can always come back again with one experience of the event under your belt and try and beat your target the next year! My own approach to the Endure 24 was to be self sufficient. My running club (the Reading Joggers) had several teams entered and a whole camp site infrastructure was in place with BBQ’s, hot food, hot drinks 24/7 which I could take advantage of but I hadn’t planned to just rely on this. For food and drink, I laid out a cooler box of drinks next to the track near the tents and a plastic box full of snacks. Food choices are very much a personal preference and your tastes change during an event and my own cooler box contained a mixture of chocolate bars, biscuits, flapjack, crisps, fruit, fruit pots and some gels. Largely a mix of sugary, savoury or fruit based foods which I can easily consume and digest. Drinks wise, I had bottles of sports drink, water and some milk shake drinks. I had iced half the drinks so these would gradually defrost through the course of the event and ensure I had a ready made supply of cool drinks particularly if it got warm. The frozen drinks also kept the other drinks chilled which worked quite well. Each lap, I planned to grab 1x500ml bottle of drink, a couple of snacks and a gel and every few hours I was going to try and eat something more substantial if available. My advice on eating is to eat little and often to keep your energy levels up. Whilst I planned to drink 500ml each lap (say an hour or so on average) I did consume liquid according to thirst so on some laps I only drank half a bottle and some laps I didn’t grab a fresh bottle. In terms of clothing, I brought a set of spare clothing in case it rained and a mixture of base-layers, running tops, mid-layers of varying thickness, a rain jacket, cap, hat, light gloves and spare trainers. These were left in my tent within easy reach so I had the option of grabbing the exact item I needed (generally when it got cold) and I wouldn’t have to spend time searching for just the right top at the bottom of a bag which is just wasting time. In terms of running shoes, the course is a 5 mile trail loop including track path, grass, and some stony paths. Ground conditions are largely impacted by the weather in the build up to the event but I wore trail shoes although it was certainly possible to run the event with road shoes. The only observation I would make from running the event is that my feet felt completely battered towards the later stages of the race. Therefore footwear with a reasonable level of cushioning or a rock-plate to protect your feet may be a consideration. Equipment wise, I carried a phone and wore a race-vest which could carry a few small items (such as a few snacks). I didn’t want to carry too much unnecessary weight as this would just slow me down a degree. I had a couple of head torches, spare batteries and a backup hand torch for the night leg. Knowing I would need this at some stage, I packed the head torch; batteries and a base-layer in a small clear plastic bag and left it out as the most visible item as I could grab it when required. The simple message is be prepared for likely scenarios and have access to spare equipment you don’t want your performance to be impacted by a simple thing such as a faulty head torch or forgetting to take spare batteries. 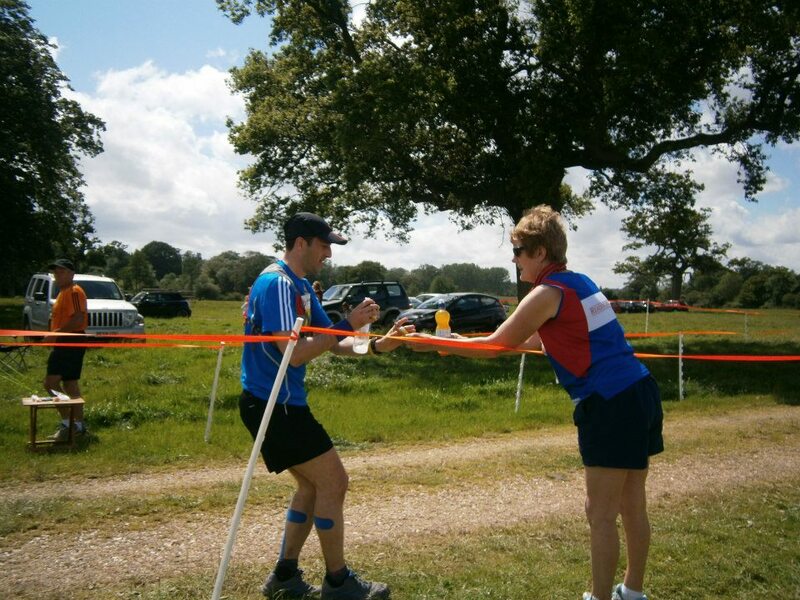 I hope you found this article useful in your preparation for the Endure 24 event. One of the key things I haven’t mentioned is to have fun and enjoy the weekend! The whole camaraderie and respect between competitors is great. Don’t run in a bubble, have a chat with people running with you (team runners will eventually fly past you lap after lap though) and enjoy the experience. 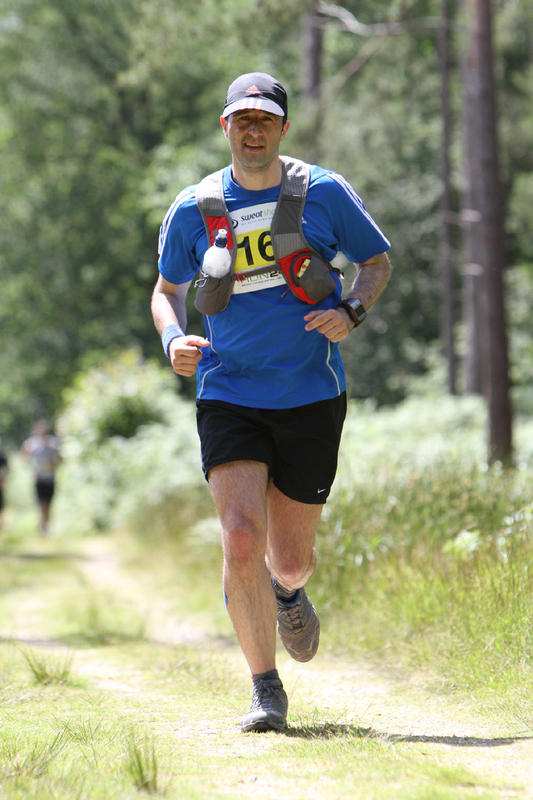 I thoroughly enjoyed participating in the inaugural Endure 24 event in 2012 and as a team runner in 2013 and will be back again in 2014 in some capacity. Thanks again…hope we will cross paths in June. Hello, not sure on the massage cost I’m afraid but can confirm that in previous years water stops were provided at the start and half way around the course. There are also toilets and showers aswell. Good luck. Thanks for the info…for now it’s head down and train ..this is a huge step for me ..so delighted to get any info going!. Great blog…. After reading this I just signed up for the solo…. It’s a crazy move a week after the Trail Marathon Wales, but at least I can go as quick or slow as I like without having to worry about cut-offs. Ah yes, those little details make all the difference. Not having to mess around finding stuff. Well looking forward to it. also looking for the magic 100 miles.